Is Your AC, Heat Pump, or Furnace Not Working Properly? Cool Change Heating and Air is a family owned and operated local Heating and Air Conditioning contractor. Located right here in Raleigh, we provide HVAC services all over the the greater Raleigh area, including Raleigh NC, Cary NC, Wake Forest NC and all surrounding cities. Whether you are looking for air conditioning repair, heating repair or you simply want to schedule a Spring or Fall tune up for your HVAC unit in order to keep your utility bills low and extend the life of you heating and cooling system, you can trust us to answer the phone when you call, come to your home quickly, diagnose the problem accurately, make the appropriate repairs, and stand by our work once we are done. Our reputation is built on honesty and quality work. And because we are not a franchise, but a local HVAC contractor, that commitment to your satisfaction impacts everything we do. Each of our HVAC technicians has years of experience and is trained in all aspects of heating, cooling, and ventilation. You can count on them to be courteous, drug free, and communicative. And above all, you can count on us to make recommendations and repairs based on your best interest, not our bottom line. Whether you need to schedule a heating or air conditioning service call, be sure to take advantage of our current HVAC specials. We provide HVAC service and repairs throughout Raleigh, NC, Cary, Wake Forest, Rolesville and Durham. Read for yourself what our current and past HVAC customers have to say about Cool Change Heating & Air. Looking for HVAC supplies, whether you need a new thermostat or a more specific part, we have you covered! We love to share our knowledge of air conditioners, furnaces, heat pumps, thermostats or even filters! 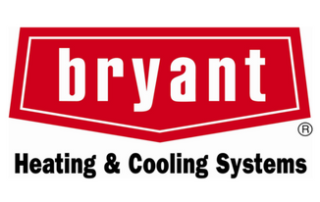 Have an question about your heating or cooling system? We are committed to your being there when you need us. What HVAC services does Cool Change Heating & Air Conditioning provide? Cool Change Heating & Air Conditioning can handle all your heating and air conditioning repair needs. We are a full service Raleigh HVAC company committed to excellence, we provide quality service at a fair price! Whether you need us to service or repair your furnace or heat pump or your Air Conditioning equipment, we have you covered. We offer Emergency HVAC service 7 days a week. We will identify and fix any problems with your HVAC unit(s), check and adjust your freon levels, and we can do your annual maintenance in order to keep all your heating and air conditioning equipment running at their best! Call us, or even text us, at 919-457-4294 for more information or to schedule your appointment. What is your Heating & Air Conditioning Service Area? We serve Raleigh, NC, Wake Forest, NC, and Cary, NC. Who is Cool Change Heating & Air Conditioning Raleigh? Cool Change Heating and Air conditioning is a family owned business located right here in Raleigh, NC. We are not a franchise. We care about our customers because we build our Heating and Air Conditioning business one relationship at a time. If you have any problem at any time, call us and we’ll make it right! Cool Change Heating and Air Conditioning Raleigh, has been operating since 1994. We are registered with the Better Business Bureau and we are a Chamber Approved Business. Are all Cool Change Heating & Air Conditioning service technicians trained and certified? When you call us, you can be sure that our technicians are certified and trained to work on every HVAC brand. Because Cool Change Heating and Air Conditioning Raleigh is not tied to any specific brand or company, you can rest assured that there is no conflict of interest. We will not direct you to the option that’s the best fit for you and your heating or air conditioning needs. Does Cool Change Heating & Air Conditioning provide Maintenance Agreements to prolong the life of my HVAC units? We are happy to provide a maintenance agreement Plan in order to keep your HVAC equipment running efficiently. By doing regular maintenance on your equipment, you can save money on your monthly heating and air conditioning costs, and to prolong the life of your HVAC units. Will Cool Change Heating & Air Conditioning offer any sort of guarantee? We stand behind our work on every service repair. If you are not happy for any reason, we’ll come back and make it right. Call us or request service today! For all your Raleigh Air Conditioning Repair or Emergency Needs! We provide Air Conditioning repair services, including AC emergency repair, all over the greater Raleigh, NC, Cary, NC, and Wake Forest, NC areas. Please note that if you need repairs immediately, your fastest response time will be via phone. Call or text us at 919-457-2494. We will call you back to confirm your appointment.